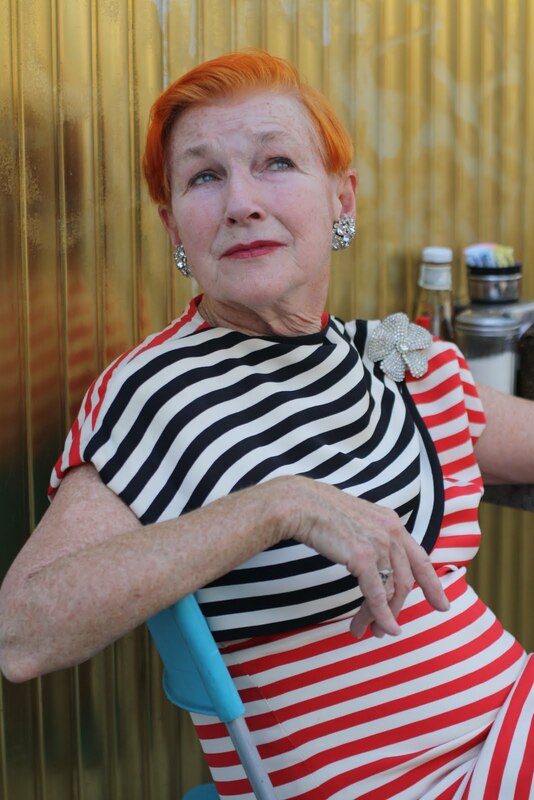 I met up with Alice Carey again, to get a few more shots for my book. 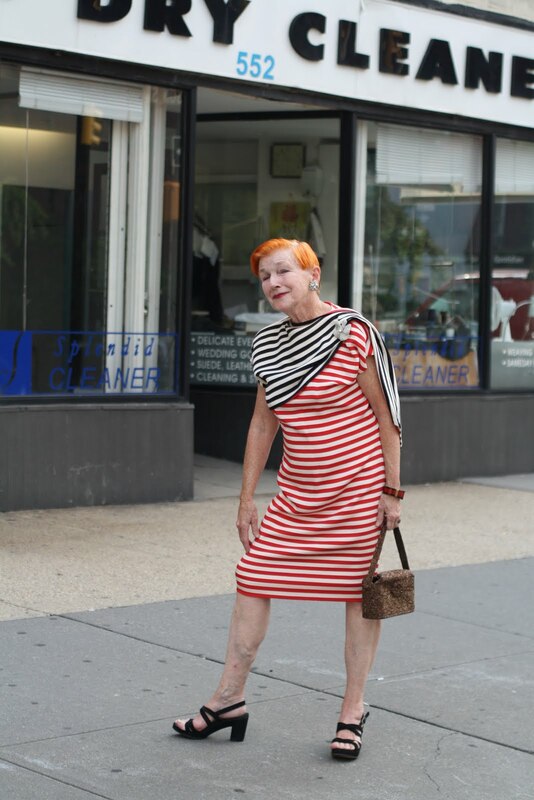 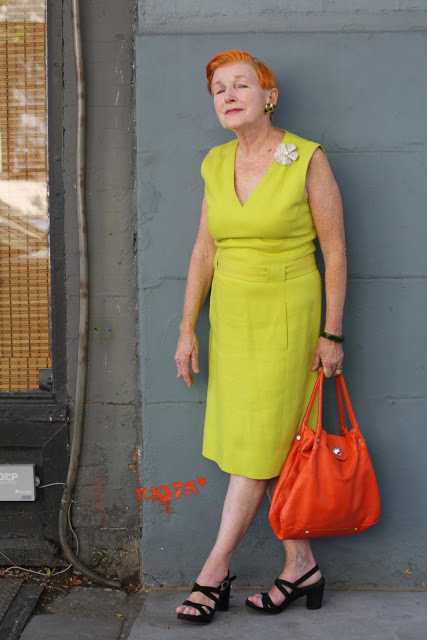 Each time we meet, she brings out another amazing outfit, and shares even more wonderful stories about her life.Alice finds most of her things at thrift stores, including this striped dress is by her favorite designer, Bill Blass. To learn more about her Carey, check out her book on amazon HERE.